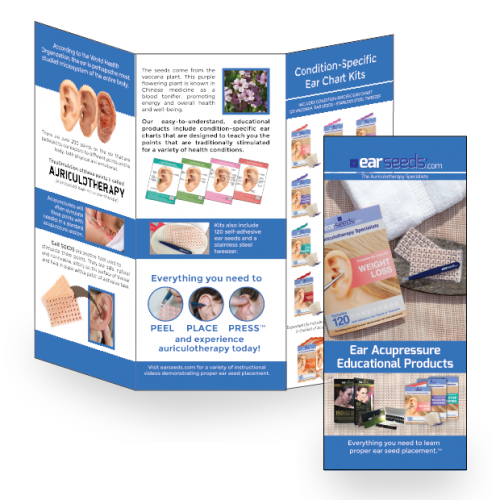 Home / Practitioner Products / Patient Education Trifolds – 20/40/60 pcs. 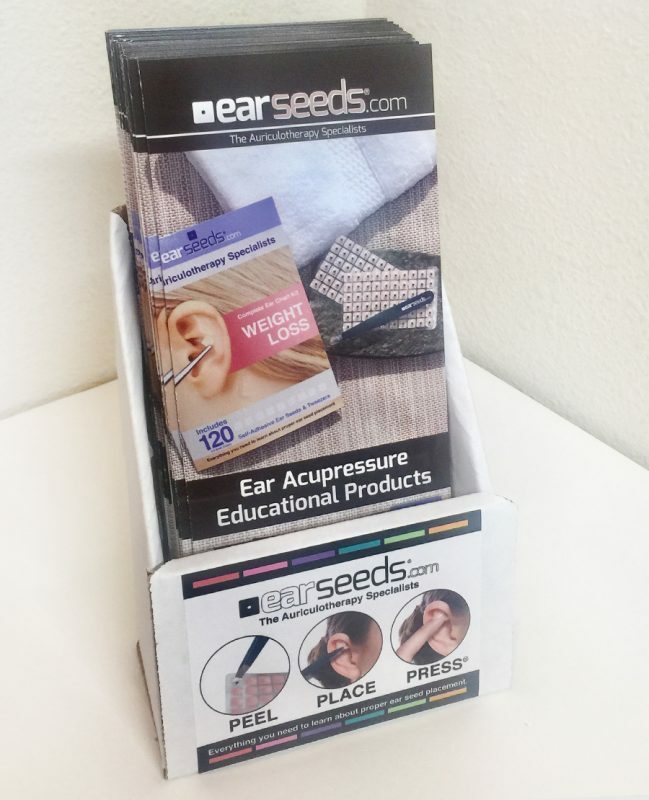 Use your time wisely… as patients and clients are waiting to see you, let them self-educate about EarSeeds and auriculotherapy so when they do have their time with you, they can ask for it, and feel confident understanding a bit about it’s history and uses! 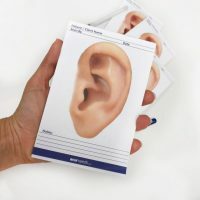 Sold in sets of 20, these are great to include in new patient welcome packs as well. The more you buy, the more you save. 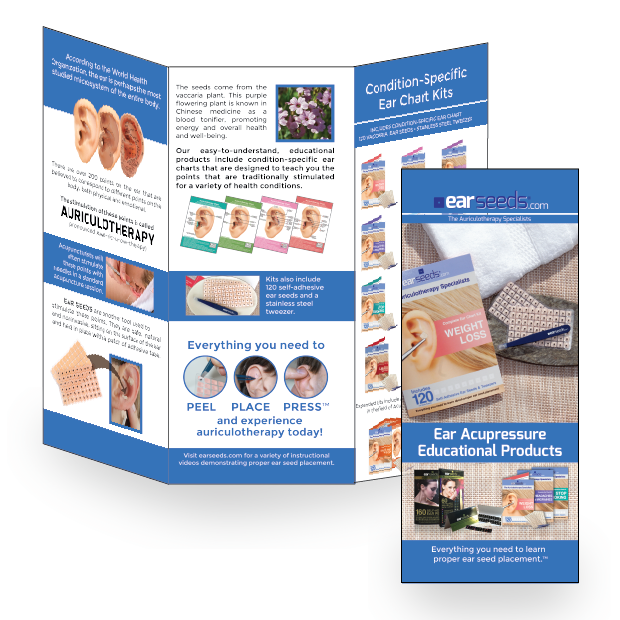 You can also include a brochure display with your order, making the entire setup super simple and easy. 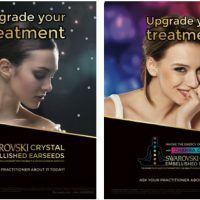 Color / Design may vary from shown as we update graphics periodically.